Choices. And more choices. If college success is about anything, it’s about the choices you need to make in order to succeed. What do you want to learn? How do you want to learn it? Who do you want to learn it with and where? When do you learn best? As part of the many choices you will make in college, you will often be able to select the format in which your college classes are offered. The list below illustrates some of the main formats you may choose. Some formats lend themselves more readily to certain subjects. Others are based on how instructors believe the content can most effectively be delivered. Knowing a bit about your options can help you select your best environments for learning. Lecture-style courses are likely the most common course format, at least historically. In lecture courses, the professor’s main goal is to share a large amount of information, ideas, principles, and/or resources. Lecture-style courses often include discussions and other interaction with your fellow students. Tip: Students can best succeed in this environment with dedicated study habits, time-management skills, note-taking skills, reading skills, and active-listening skills. If you have questions, be sure to ask them during class. Meet with your instructor during office hours to get help on what you don’t understand, and ensure that you’re prepared for exams or other graded projects. Lab courses take place in a controlled environment with specialized equipment, typically in a special facility. Students participating in labs can expect to engage fully with the material—to learn by doing. In a lab you get first-hand experience in developing, practicing, translating, testing, and applying principles. Tip: To best succeed as a student in a lab course, be sure to find out in advance what the course goals are, and make sure they fit with your needs as a student. Expect to practice and master precise technical skills, like using a microscope or measuring a chemical reaction. Be comfortable with working as part of a team of fellow students. Enjoy the personal touches that are inherent in lab-format courses. Seminar-style courses are geared toward a small group of students who have achieved an advanced level of knowledge or skill in a certain area or subject. In a seminar, you will likely do a good deal of reading, writing, and discussing. You might also conduct original research. You will invariably explore a topic in great depth. The course may involve a final project such as a presentation, term paper, or demonstration. Tip: To best succeed in a seminar-style course, you must be prepared to participate actively, which includes listening actively. You will need to be well prepared, too. As a seminar class size is ordinarily small, it will be important to feel comfortable in relating to fellow students; mutual respect is key. Initiative and responsiveness are also vital. Studio-style courses, similar to seminars, are also very active, but emphasis is placed mainly on developing concrete skills, such as fine arts or theater arts. Studio courses generally require you to use specific materials, instruments, equipment, and/or tools. Your course may culminate in a public display or performance. Tip: To succeed in a studio-style course, you need good time-management skills, because you will likely put in more time than in a standard class. Coming to class is critical, as is being well prepared. You can expect your instructors to help you start on projects and to provide you with resources, but much of your work will be self-paced. Your fellow students will be additional learning resources. Workshop-style courses are generally short in length but intensive in scope and interaction. 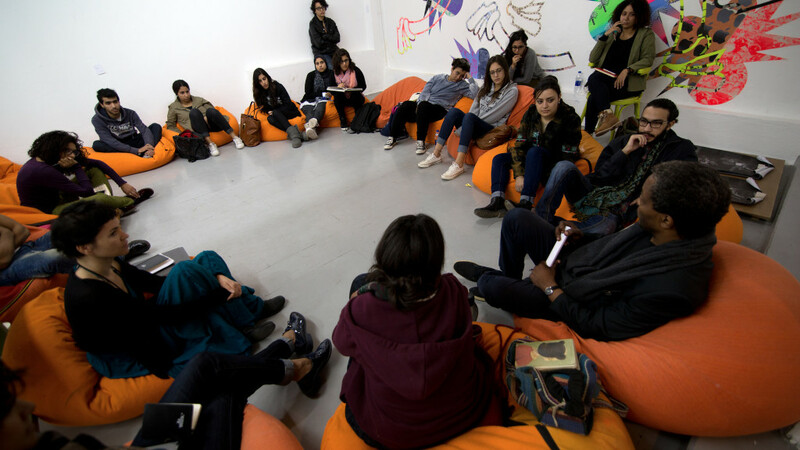 Workshops generally have a lower student-to-teacher ratio than other courses. Often the goal of a workshop is the acquisition of information and/or skills that you can immediately apply. Tip: To succeed as a learner in a workshop, you will need to apply yourself and participate fully for a limited time. A workshop may last a shorter amount of time than a full term. Independent-study courses may be less common than other course formats. They allow you to pursue special interests not met in your formal curriculum and often involve working closely with a particular faculty person or adviser. Independent studies usually involve significant reading and writing and often end in a research project or paper. Your special, perhaps unique area of interest will be studied thoroughly. Tip: To succeed in an independent-study course, be prepared to work independently but cooperatively with an adviser or faculty member. Adopt high standards for your work, as you can plan for the possibility that your project or culminating research will be of interest to a prospective employer. Assume full responsibility for your learning outcomes, and be sure to pick a topic that deeply interests you. Study-abroad courses and programs give students opportunities to learn certain subjects in a country other than their own. For most U.S. students, a typical time frame for studying abroad is one or two academic terms. For many students, study-abroad experiences are life changing. Tip: To succeed in studying abroad, it may be most important to communicate openly before, during, and after your experience. Learn as much about the culture in advance as possible. Keep up with studies, but take advantage of opportunities to socialize. Use social networking to connect with others who have traveled where you plan to go. The following video is one student’s account of why and how traveling abroad changed his life. You can download a transcript of the video here. Most, if not all, college course formats can be delivered with technology enhancements. For example, lecture-style courses are often delivered fully online, and lab courses often have Web enhancements. Online teaching and learning is commonplace at most colleges and universities. In fact, the most recent data (2012) about the number of students taking online courses shows that roughly one out of every three U.S. college students takes at least one online course. Technology-enhanced delivery methods may be synchronous (meaning in real time, through some kind of live-interaction tool) as well as asynchronous (meaning in delayed time; they may include online discussion boards that students visit at different times within a certain time frame). The following table describes the attributes of four main “modes” of delivery relative to the technology enhancements involved. 0% Face-to-Face / Traditional A face-to-face course is delivered fully on-site with real-time, face-to-face interaction between the instructor and student. A face-to-face course may make use of computers, the Internet, or other electronic media in the classroom, but it does not use the institution’s learning management system for instruction. A learning management system, like Blackboard, Moodle, Canvas, or others, is an online teaching and learning environment that allows students and teachers to engage with one another and with course content. 1% to 29% Web Enhanced A Web-enhanced course takes place primarily in a traditional, face-to-face classroom, with some course materials being accessible online (generally in the learning management system), like digital readings to support learning objectives. All Web-enhanced classes regularly meet face-to-face. 30% to 79% Hybrid/ Blended Hybrid courses (also called blended courses) strategically blend online and face-to-face delivery. “Flipped classrooms” are an example of hybrid delivery. In a flipped classroom, your instructor reverses the traditional order of in-class and out-of-class activity, such that you may be asked to view lectures at home before coming to class. You may then be asked to use class time for activities that enable you to engage dynamically with your instructor and fellow students. Blended courses have fewer in-person sessions than face-to-face or Web-enhanced courses. 80+% Online An online course is delivered almost entirely through the institution’s learning management system or other online means, such as synchronous conferencing. Generally, very few or no on-site face-to-face class meetings are required. Activity: Is Technology-Enhanced Learning For Me? Identify key components of technology-enhanced learning as presented in the Introduction to Online Learning video. Take a self-assessment quiz to determine what your strengths and aptitudes may be in taking courses with technology enhancements. In the section on Technology Skills, we explore online learning and technology-enhanced learning in greater depth. Get a head start on this topic by viewing the following video, Introduction to Online Learning, from California Community Colleges. When you are finished watching the video, take this Online Learning Quiz from the Washington State Board for Community and Technical Colleges. You will see pop-up interpretations based on your responses. Just as you have choices about the delivery format of your courses, you also have choices about where specific courses fit academically into your chosen degree program. For example, you can choose to take various combinations of required courses and elective courses in a given term. Typical college degree programs include both required and elective courses. A core course is a course required by your institution, and every student must take it in order to obtain a degree. It’s sometimes also called a general education course. Collectively, core courses are part of a core curriculum. Core courses are always essential to an academic degree, but they are not necessarily foundational to your major. A course required in your major, on the other hand, is essential to your specific field of study. For example, as an accounting student you would probably have to take classes like organizational theory and principles of marketing. 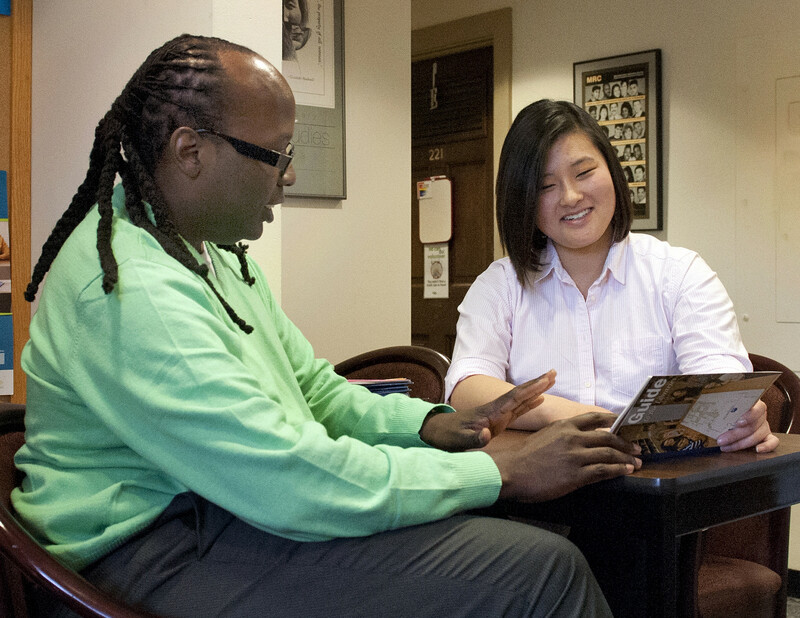 Your academic adviser can help you learn which courses within your major are required. An elective course, in contrast to both core courses and required courses in your major, is a variable component of your curriculum. You choose your electives from a number of optional subjects. Elective courses tend to be more specialized than required courses. They may also have fewer students than required courses. Most educational programs prefer that students to take a combination of elective and required courses during the same term. This is a good way to meet the demands of your program and take interesting courses outside your focus area at the same time. Since your required courses will be clearly specified, you may not have many questions about which ones to take or when to take them. But since you get to choose which elective courses you take, some interesting questions may arise. What are some strategies you can employ to help you decide which electives are right for you? The following video, “Choosing Electives,” gives helpful advice. You can download a transcript of the video here. It’s important to track and plan your required and elective courses from the outset. Take advantage of a guidance counselor or another adviser to help you make sure you are on the best trajectory to graduation. Reassess your plan as needed. Think of your college campus as a small town—maybe even a little city! In the same way that towns and cities need laws to regulate citizen activities, colleges and universities need codes and policies to define appropriate operations, behaviors, events, activities, and much more. Each institution has its own unique set of codes and policies, but many commonalities can be found between the codes and policies of different institutions. You can expect to find policy and code specifications about academic standards, admissions, enrollment, tuition and fees, student classifications, degree types, degree requirements, transfer agreements, advising, course scheduling, majors, minors, credits, syllabi, exams, grade-point averages, academic warnings, scholarships, faculty affairs, research, rights and responsibilities, and honors and distinctions. Take time to find the policies and procedures for your institution. You can find them online, in the print version of the college handbook, in the admissions office, through your guidance counselor, and/or in the main office building of your academic program. Be aware that your individual instructors will provide you with information about their course-specific policies and procedures. These may include policies about grading, absences, and academic integrity. You will also find expectations for submitting work, for communicating with your teacher, and much more. Course-specific policies can affect your grades on individual assignments as well as your final grade. If you think of your college as a small town as mentioned above, then these policies are your road map. College resources to help you reach your educational and career goals are plentiful on most campuses. Here are several campus resources to know about and find early in your college tenure. You may not need them right away; some you may not need at all. But you will at least find several to be vital. Be familiar with your options. Know where to find the services. Have contact information. Be prepared to visit for help.